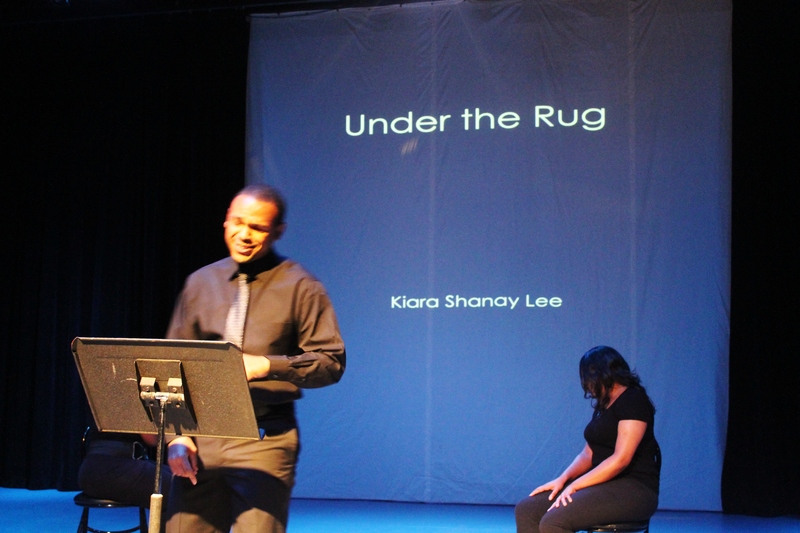 “Under the Rug” — a HUGE success! 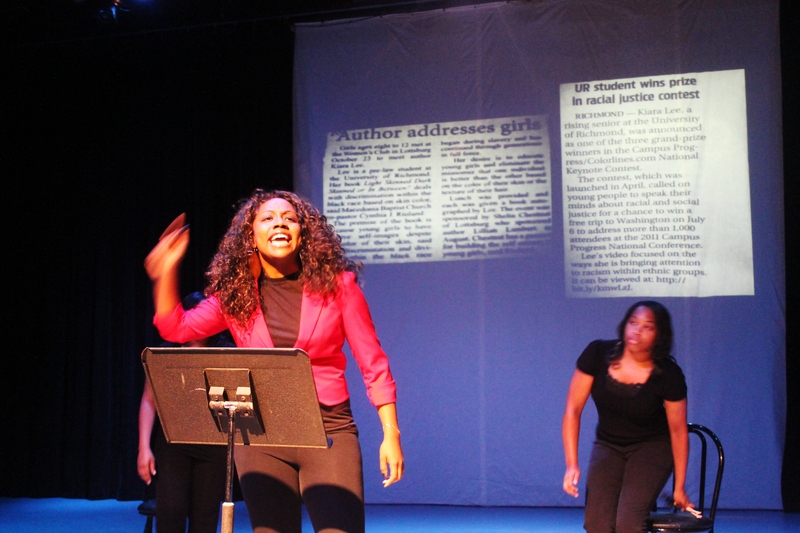 Last week, “Under the Rug,” debuted at my school, University of Richmond. There was a FULL HOUSE in the audience — standing room only at one point. A lot of my family and even my best friend travelled from Chesapeake to come see it! After a semester of hard work, writing, researching and rehearsing with my cast, I must say the finished product was nothing short of glorious. 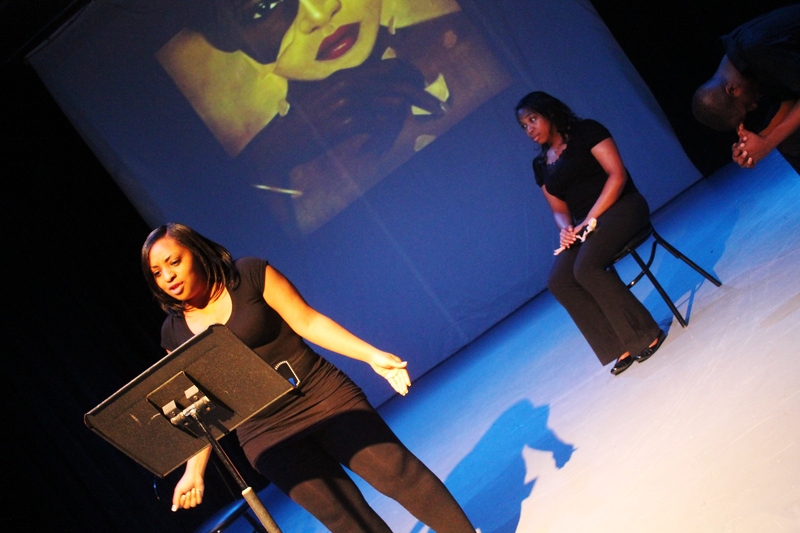 We (my faculty mentor Dr. Holland, the cast and I) managed to come together to not only create art but to start dialogue.